Smooth, ultrahyde, stitched hard front cover. Includes a standard deboss imprint (16" sq. imprint area). 100 sheets of 60# ruled filler. 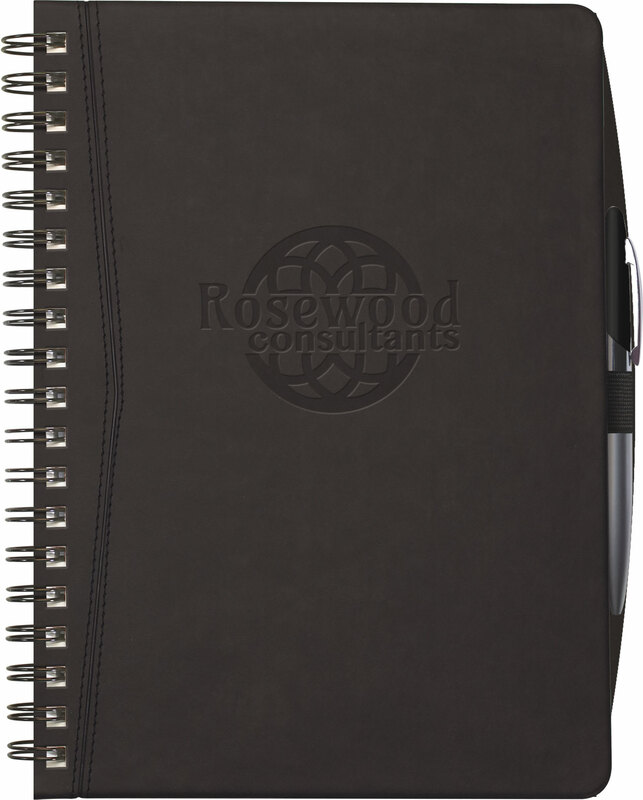 Features a PenPort back cover (pen not included). 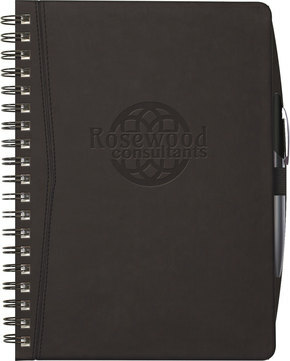 Black wire binding is standard (more colors available). *AVAILABLE FOR SURESHIP.